One of the earliest memories I have is from age four or five. Mother put on a story for me to listen to on our old vinyl record player. The record told the story about Adam and Eve. 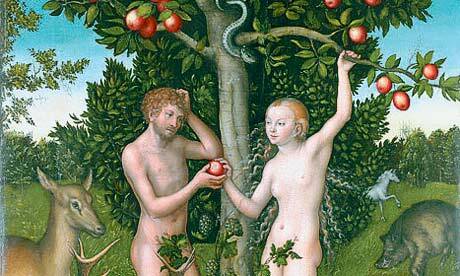 On the cover was a drawing of Adam, Eve and the Snake. After listening to the recording, I pointed to Adam on the cover and asked mom: "Mom, is this God?" "No, that's Adam" she replied. "But the voice I heard sounded like that of a man" I replied back. "Mom, why did God stop talking to people?" As I recall, mom didn't quite know how to answer me so she said something like "I don't know". This event occurred in the early 80s of the 20th century. Currently, the year is two-thousand and fifteen according to the Christian calendar and I am thirty five. God never ceased talking to people, it's people who have stopped listening.